If you don’t have time to deal with cleaning, take advantage of our professional cleaning services! 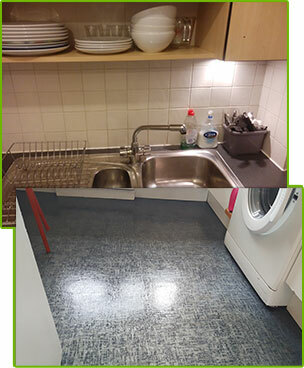 We are based in South Bank and we can offer you a wide range of cleaning options for your home or office. As part of our professional approach we provide: professional carpet care, mattress and upholstery disinfection, blinds and curtains refreshment. We have specialized in window cleaning, we offer guaranteed end of tenancy services and excellent after builders cleaning options. You can as well rely on our professional assistance for regular and one-time deep cleans of homes and commercial properties. We know how to achieve the highest standards in each cleaning situation, so trust us and book our services! Your complete satisfaction is our goal. We carefully listen to your requirements and we combine them with our high standards in cleaning to give you the clean you want and deserve. With us you can create your very own cleaning plan based on your budget, wishes and preferences. We will handle all items on your cleaning schedule and you will be amazed with the results. We work with the top professionals in Bankside and we guarantee excellent results with every clean. Our crew of experts will come to your property professionally equipped and will deliver convenient, polite and friendly service. Their work is quick and well-organized and in a few hours everything will be spot cleaned. We use the most modern technologies in cleaning and the safest clean up methods. We are the company in South Bank that will offer you healthy and effective cleaning solutions for your home and office. We guarantee the flawless reputation of our employees. Each one of them has been strictly screened for your peace of mind. In addition, they can provide references from hundreds of happy clients. Our professional services come at competitive rates and we are flexible: we work 7 days a week and we can arrange an appointment at a time that best fits you busy schedule. Call us now and let us handle all taxing cleaning chores! My three kids are the biggest trouble makers in the world! They constantly run around the house with dirty shoes, spill things all over the carpets, kill bugs everywhere in the house and so much more. I try to keep up with them and clean, but I cannot help it and fail every now and then. For a sparkling clean home, I always trust you professional cleaning services. You really do work miracles with the surfaces! Thank you so much! ﻿Do you hate spring cleaning? You know, even if you don’t like it, you need to do it, because the spring cleaning isn’t just important for the disinfection of your home, but it’ll also boost your productivity, too. If you’ve had it with all the scrubbing, cleaning between furniture and walls, sanitizing every inch of your property, it may finally be time to book our professional cleaning services. Out professional cleaning technicians will make your home sparkling clean without exceptions. With us, the spring cleaning will look like a child’s game. Book us today, we operate in Bankside and we promise 100 percent customer satisfaction.